Alhaji Kamoru and wife reside at Hasan Close, Alasia, Ijanikin in Lagos State. 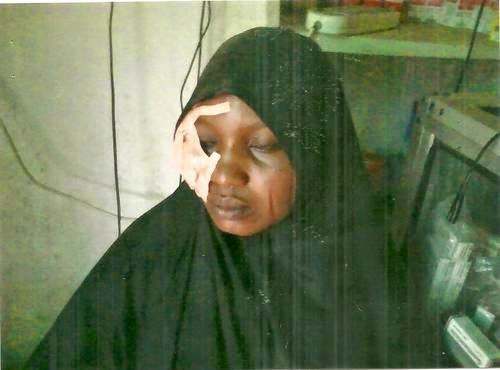 According to saharareporters, the bruising attack happened on the 16th of July, when the third wife reported to their husband that their senior wife took fish from the soup to break her fast. The husband, according to witnesses, did not listen to her excuse before attacking her. The police have now arrested the husband, following outcry and petitions by the Women Arise civil group in Lagos. He will be arraigned in court next week. was he even punished? the man is a monster.